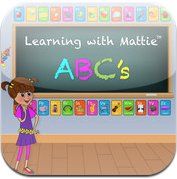 ABC’s With Mattie is such a charming educational app! The only thing more charming is Mattie’s voice! She is a real six year old girl with a gift for teaching. The app is presented to us by Alkemedia Productions. 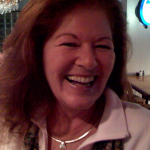 There are three ways to practice the ABC’s and over a hundred words to see and hear. This is a great starter for our preschoolers and perfect practice for our school kids. Kids will immediately bond with Mattie, smoothing the way to a fun and enticing time! The first exercise will have kids pick a letter and then touch, say and hear the sound of the letter. One exercise is matching the letter to the picture, then Mattie will tell you the word. There is a matching game in which kids pick the right letter for the image, and in the end everyone sings with Mattie! What was the initial inspiration for ABC’s with Mattie? Our daughter Mattie was what inspired us to create the app. We saw how much she enjoyed teaching other children and how well they responded to working with a peer. Also with Mattie in kindergarten we learned first hand at how challenged schools are and wanted to create a series of apps that could help children learn the basics, but learn them with a greater base of information than other tools currently available. I have to say the animated character really is what we had the most fun doing. It also is what children gravitate to as soon as they start the app. We’ll be adding Mattie’s little sister in our next app and since we’ve been asked, maybe even a couple of her friends will join her to help with lessons. We’d really love people to know that one of the best things they can do is support the use of iPads in schools. From Pre-K thru High School our children need to receive the best education possible and teachers can only do so much. Please note that we are not saying an expensive education, but the best education. $500 an iPad might seem expensive, but with an average computer lifespan of 5 years that breaks down to about $.25 a day and it opens the door to books, apps and information that would be nearly impossible for even the best schools to provide for our children.